Attached your invoice in PDF format, dated 01/09/2017 and csv files for shipments and services provided by DHL Express. You can also display the details of his account and the historical invoices online. We expect to receive payment within the prescribed period, as indicated on the invoice. We send our thanks for having taken advantage of DHL Express services. 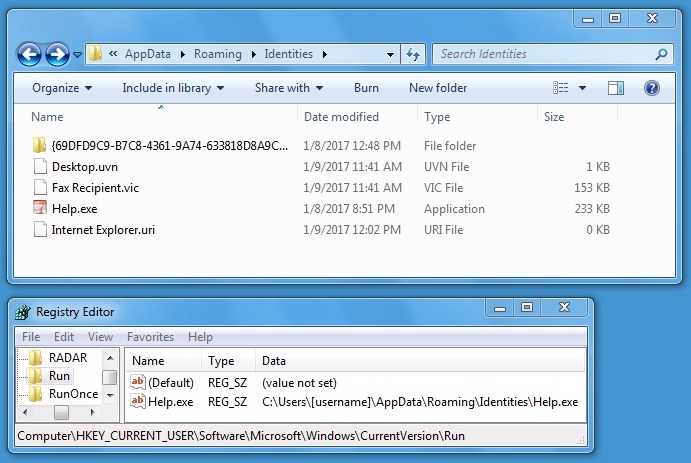 Shown above: Artifacts and registry update for this malware infection on a physical host.